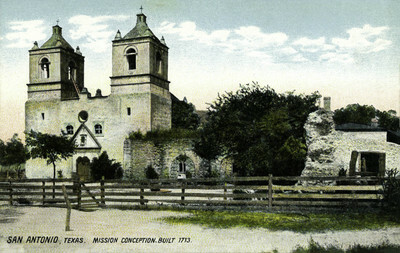 "Texas – San Antonio, Mission Conception. Built 1713"
One color postcard with a divided back. The postcard was published by Raul Evers in San Antonio, Texas and made in Germany.